A lot of sharp, shiny stuff comes out of Sanjo, a town in Niigata in the north of Japan renowned for its specialist blacksmiths, but none of it is more remarkable than what comes out of the Iwasaki workshop. 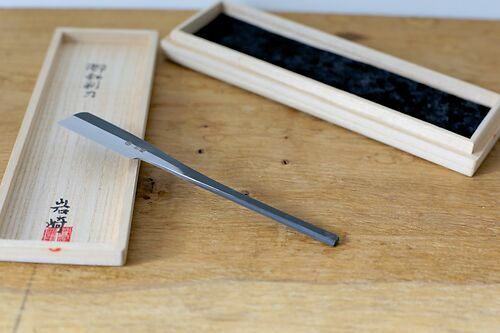 Now made by Mr Mizuochi, the production of these kamisori razors hasn't changed in more than fifty years - Swedish Sandvik steel laminated to a softer jigane low carbon steel. That's it. Happy shaving.